Easy GIF Animator is a powerful animated GIF editor and the top tool for creating animated pictures, banners, buttons and GIF videos. You get extensive animation editing features, animation effects, unmatched image quality and optimization for the web. No other GIF animation software matches our features and ease of use, that's why Easy GIF Animator is so popular. License Agreement | How to uninstall? Easily add visual effects like sparkles, zoom, rotate etc. 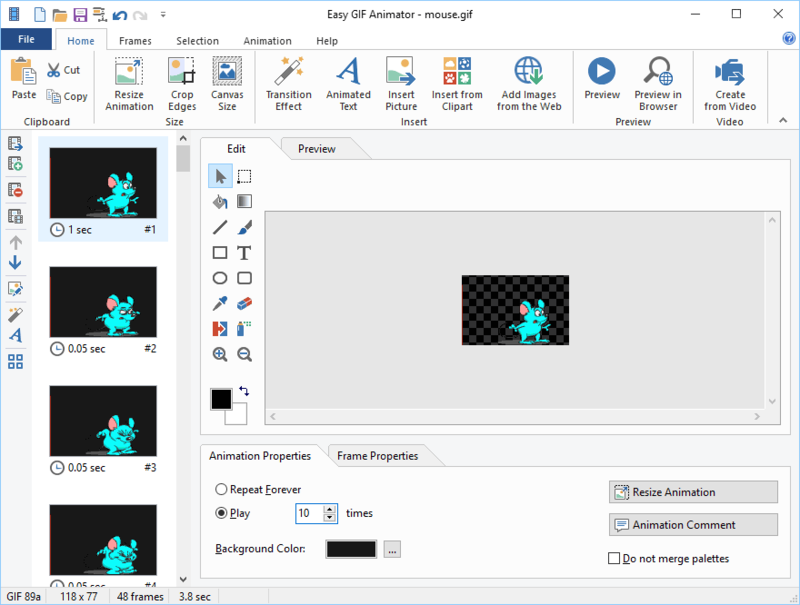 No other competing software matches the feature set of Easy GIF Animator. Accumulated experience of more than 10 years and 7 major versions. Easy GIF Animator is the most affordable animated image editor on the market today. Easily create GIF from video using powerful built-in converter. Easily create attention-grabbing animated text with built-in text effect assistant. Create cool transitions and visual effects, such as spin, zoom or sparkles. Our image editor offers powerful image editing tools and supports transparency. Easy GIF Animator is very easy to learn and use. Follow our tutorial and you will be able to create your first animation in minutes. Just need to modify an old animation? With this software it is a matter of seconds.